Sholem Community Membership is included automatically with School Tuition. This reflects our philosophy that your child’s Sholem School experience is both about learning and about your family’s participation in our community. For tax purposes, members paying full tuition may claim as deductions $600. 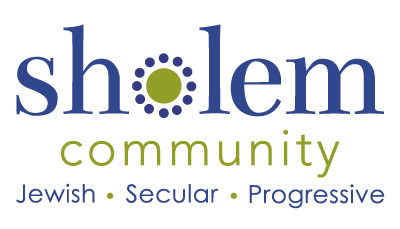 Please also note, with a Sholem Community Membership your family will obtain discounted prices to many Sholem activities including our kol nidre observance. Our rates are affordable and tailored to community needs. Our sliding-scale tuition rates are based on your ability to pay. We try to accommodate people who request financial aid. To figure out your tuition fees, please review The Median L.A. Income Table and note your category. * If you would like to apply for Tuition Assistance, please contact membership@sholem.org to request the appropriate form. Remember that your entire family automatically receives Annual Community Membership with any School Tuition purchased. Please remember your Bracket (A, B or C) from above when selecting the payment option. If you signed up last year, please LOG INTO your account first for faster checkout. Please CLICK HERE if you don’t know your login information. Before December 1: Those seeking refunds have a choice of 50% of the annual tuition, or a credit to apply 75% of your current year’s tuition to the following year’s tuition. After December 1: We reduce the amount that can be refunded by 10% per month. So, for example, after February 1, we will refund 30% of the full tuition. Alternatively, we can provide a credit toward the next year’s tuition. The amount of the credit is reduced by 15% per month. So, for example, after February 1 we will provide a credit to apply 45% the current year’s tuition to the next year’s tuition. For refunds on a monthly auto pay plan, we will reduce the amounts of the remaining payments so that the sum of all payments is less than the tuition amount minus the refund amount. Have questions or need assistance with registration? Email us. If you have any questions about membership, please contact us. Phone (310) 984-6935 or (818) 760-6625 or email membership@sholem.org.